Khidmah is a Voluntary charitable not for profit community organisation based in UK. 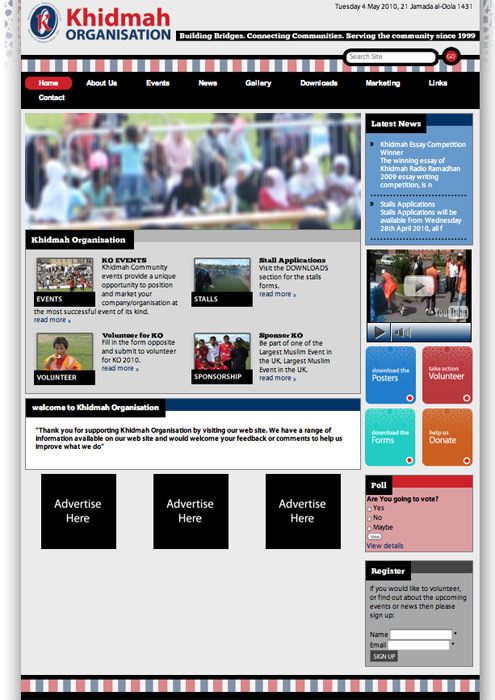 We worked with Khimaha to build a bespoke design which will be user friendly and easy to use. With which we customised Joomla to meet their requirements.